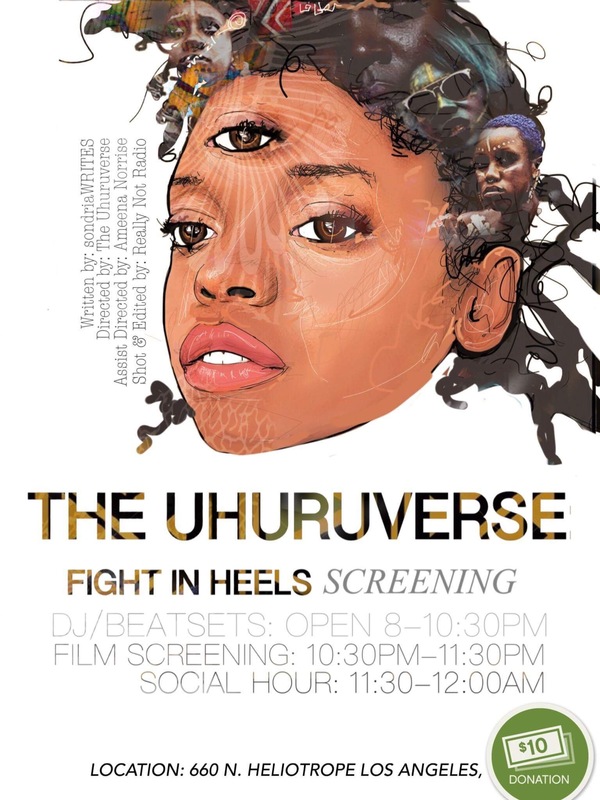 THIS FRIDAY, WE OFFER YOU TWO DIFFERENT WAYS TO EXPERIENCE OUR FILM “FIGHT IN HEELS”–WE’VE ADDED A TRIPPY OPTION TO THE LIST! MEET US AT THE UHURUVERSE ON MAY 19TH TO SEE WHAT WE MEAN. GET SNATCHED!! This entry was posted in Uncategorized and tagged afrofuturism, afropunk, art, art film, blackfashion, blackgirlmagic, blackpower, blackwomen, fashion, FIGHTINHEELS, independent film, lazinefest, loveboxstudios, omniklix, reallynotradio, snatchpower, SONDIRAWRITES, theuhuruverse. Bookmark the permalink.